Minimum Dosage’s for ponds and Lakes is a 6 weeks program. Full season typically from April through October. Adjust these dates for geographic region. With over 30,000 different verities of algae, we are extremely confident our “Bio Lake Clear” product works. Every pond is different. 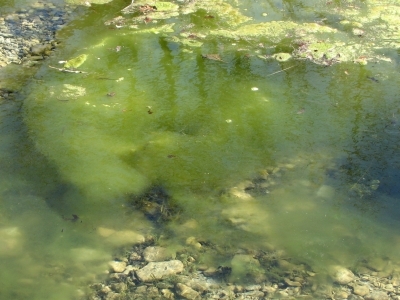 In some cases one product, “Bio Lake Clear” by itself does not always work. This is why we have “Ecosocks GC”. Ecosocks GC are highly recommended to be use in combination with Bio Lake Clear . This combination will get the results you expect. If you decide to use only one product and do not get the results you expect, DON’T assume our product does not work, add the Ecosock GC to your program. We only want SATISFIED customers. We are more than happy to consult with you before you make a purchase. How long do I treat for pond Algae? Dangers of using copper sulfate, Would you swim in it?